Found 28 blog entries for November 2015. There are still a few openings for the 2016 Citizens Academy hosted by the Richland Police Department. Attached below is the application for the class (PNG image just right mouse click and save to your computer, then print) and it includes all the details. It is recommended that the applications be turned in quickly as the class may not be open much longer. Please share. Every Tuesday evening from January 5, 2016 through March 15, 2016. The Citizens' Academy, provided by the Richland Police Department, runs from January to March every year. 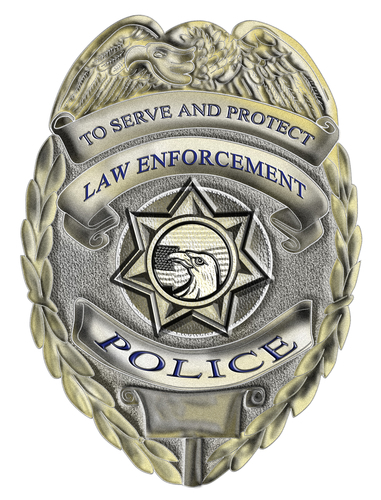 The academy provides information about the operation and programs of the police department and the local criminal justice system. 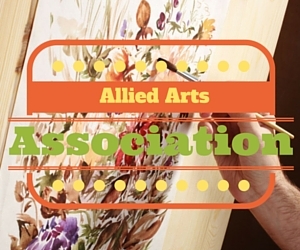 Allied Arts Association and gallery provides art development, awareness and education for the Mid-Columbia region of Washington State, including the cities of Pasco, Kennewick, Richland and surrounding areas. 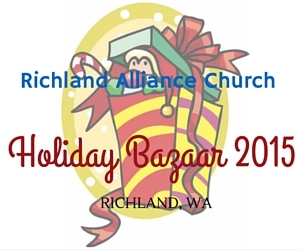 Come and join the Richland Alliance Church Youth Group as it conducts its 10th Annual Alliance Holiday Bazaar on December 5, 2015 at 1400 Sanford St., Richland, WA. The Alliance Holiday Bazaar will be joined by 50 vendors, making it more exciting for shoppers. There will be Kids Fun Zone for the little ones to enjoy and a full potato bar for kids and adults alike. Silent auction and bake sale will also be a part of the event. The Alliance Holiday Bazaar will bring you the kind of Christmas fun never found anywhere else. Fun begins at 9:00 a.m. up t0 4:00 p.m. Event details are available at the Richland Alliance Church website. 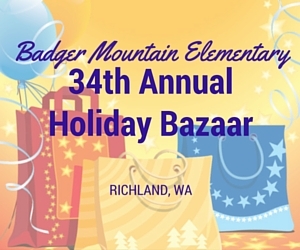 Everyone is invited to join the Badger Mountain Elementary 34th Holiday Bazaar on December 5, 2015, beginning 8:00 a.m. to 4:00 p.m. Check out more details at this website.The Badger Mountain Elementary at 1515 Elementary St., Richland WA will be the venue of this school bazaar, which is by far the largest in the Tri Cities area. Be a part of Pasco Chamber of Commerce's Monthly General Membership Luncheon and be aware of the latest happenings in Tri Cities! 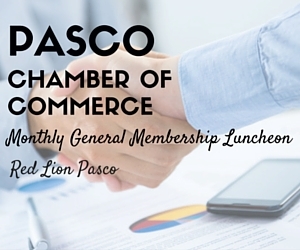 For this month, the General Membership Luncheon will be held on December 14, 2015 at Red Lion Pasco. The discussion and other activities will run from 11:45 a.m. to 1:00 p.m. To know more about the details of the Monthly General Membership Luncheon, visit the website of Pasco Chamber of Commerce. Feel the spirit of Christmas with the performance of Bells of the Desert at Kennewick First United Methodist Church in Kennewick, of which will be held on December 12, 2015. 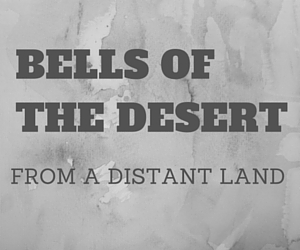 This year's theme is "From a Distant Land" where the Bells of the Desert will highlight the beauty of Christmas melodies from all over the world. Let the Bells of the Desert paint the town red with their fun performances of holiday favorites! Take pleasure in happy tunes like Wexford Carol and Bwana Asifiwe. It's a joyous event that every family should be a part of! Visit bellsofthedesert.org for more details. 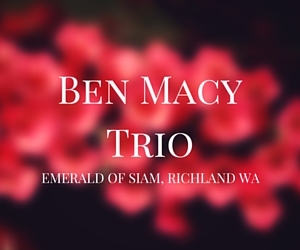 On December 19, 2015, Ben Macy Trio will grace the center stage of Emerald of Siam which is located at 1314 Jadwin Avenue, Richland, Washington. Ben Macy Trio's performance will start at 5:00 p.m. For more details, visit Ben Macy's website. Ben realized his love for music when he was 10. At 5, his mother had to force him to take piano lessons. Eventually, he got fond of it and began performing with different bands during his high school and college years. Through a lent Oscar Peterson CD, Ben discovered "jazz". From then on, he never stopped playing jazz. Among great artists Ben has performed with were Jon Shaw, Kyle Owen, Lee Elderton, Neil Mattson, Sam Foulger and Tim Gilson. Celebrate life with the music of The Blackberry Bushes Stringband! The band will perform at Brewminatti, Prosser, Washington on the 4th of December, 2015. The Blackberry Bushes Stringband's performance suits all ages. Lovers of bluegrass, indie rock, jazz and pop will have a great time listening to the band's melodies. 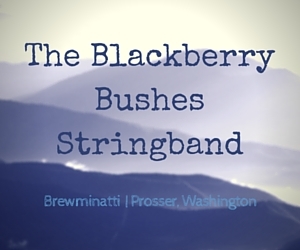 For more details on The Blackberry Bushes Stringband performance at Brewminatti visit The Blackberry Bushes Stringband's website. Spend this Black Friday outside being active instead of going shopping. 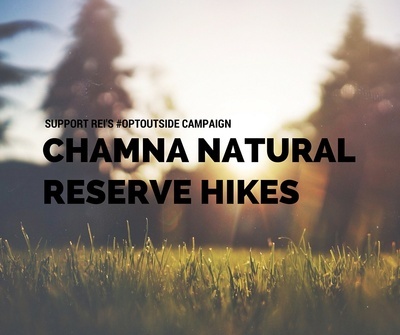 REI has started a campaign by announcing that they will be closing all 143 of their stores on Black Friday and will instead be paying their employees to go outside. REI has always been dedicated to living life outdoors. They decided that Black Friday would be the perfect time to act this out. They challenged everyone to go outside with them this Black Friday. The bands of TCSBA are known for their exceptional performance. 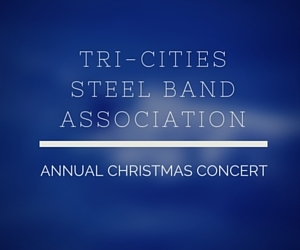 Get to experience steel drum and marimba music like no other with the Tri-Cities Steel Band Association Annual Christmas Concert which will be held on December 11, 2015 at 6:30 p.m. Listen to the beautiful mix of classic and modern songs, along with Christmas melodies that will surely capture your heart! This concert will take place at 504 Wilson St., Richland Washington. Ticket price is $5.